I had a great time at Pearmund Cellars. It was Krystal’s first tasting, which I had the pleasure of pointing out the do not’s made by others; for example, eating crackers throughout your tasting and rinsing your glass with water after every wine. Big No-No!! I have issues with a Taster allowing this to occur. Goodness, unless you are starving or really dislike the wine, LEAVE THE CRACKERS ALONE! If you drank too much beforehand, a handful of crackers aren’t going to help you now, Sorry. I liked the Taster who gradually set the crackers aside & gave the customers her undivided attention. I LOVE our lovely Taster who rinsed our glasses with a red wine, when going from a sweet red to dry reds. Hmm…I’ve rinsed glasses with Chardonnay, but I never used red wine, have to try it. I smiled, note to self “Sweetie, you’re definitely getting a tip”. Folks, if you pour water in your glass, drink or pour it out, look in the glass… there will be water remains in your glass. Now you have a glass of diluted wine. No Thank You! 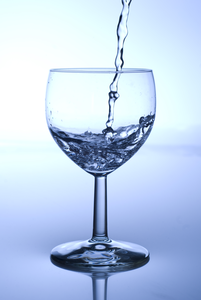 Plus, the water chemistry can alter the taste of the wine. You have tasted water that has an unusual taste, now you are sipping weird tasting wine. You don’t know any better and you’ve come to the conclusion that it’s the wine. So, speak up with SMILE & ask if you can rinse with a chard/red when going from sweet wine to dry wine. Also, there’s no need to rinse from whites to reds. BOTTOM LINE- If you really dislike the taste of the wine, eat a cracker or have water to cleanse your palate. However, I prefer you say with a SMILE “no water please”. I was guilty of several those wine violations this past weekend..